Morgan Stanley Company Information Is this your company? Add your own content to this page. We currently have 3 open jobs at Morgan Stanley. 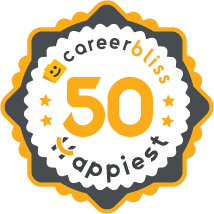 We've calculated that the average salary at Morgan Stanley is $60K based on 3,305 user-submitted salaries A total of 332 Morgan Stanley employees gave Morgan Stanley an average happiness rating of 4.0 out of 5.0. 521 Financial Advisors from Morgan Stanley submitted salaries. 3.8 I would recommend regular top-up training for all managers with direct reports. I mean, they should have mandatory annual courses on the human side of managing people. There are bi-annual courses for many regulatory issues, as there should be, but there is no focus whatsoever on human resources. 2.2 I've worked for Morgan Stanley since 2006, and the company has changed significantly in that time. It started as a premier institutional way, living up to its reputation of doing first-class business in a first class way. But they didn't need to assert that ten years ago. Now, they repeat it over and over. You figure out what that means. 4 Morgan Stanley was a tremendous experience that pushed me to strive for my absolute best and developed my abilities to network and build a sound practice, and promote an entrepreneurial outlook on creating, shaping, and building a relationship with clients from all walks of life, profession, and intentions. I have nothing but the best to say in both developing my insights on learning the mechanics of creating a unique strategy, market analysis, public speaking, networking to thrive tremendously. Morgan Stanley has been offering financial services to the world since 1935. Current CEO, James Gorman, has helped to improve the company even further and the company continues to focus on the global expansion of financial and capital markets. These improve the opportunities for investors as well as for Morgan Stanley Careers. The Morgan Stanley culture is one that holds education extremely high. They offer a number of internships to high school and college students each year in order to help explain the financial world better and help to kick start careers. Many students who start off with an internship go on to excel throughout the Morgan Stanley family, which is why so many people choose to start with that route. Many Morgan Stanley benefits are offered to employees, too. These include higher than average salaries, various types of insurance opportunities as well as tuition reimbursement for different majors that could end up improving a person’s contributions to what Morgan Stanley offers. The ability to grow within the company is very easy and many employees experience this growth several times throughout their career. Working at Morgan Stanley can be a very educational and exciting way to work in the world of finance. The company remains on the forefront of technology and offers many different ways to get involved in the company. As a result, the number of careers is constantly expanding and the company is always looking to take on new employees that can offer them something new and unique. The thousands and thousands of employees that are currently employed with Morgan Stanley throughout the world feel that they are well compensated for their job and are still able to maintain a very good balance between work and home. This is important for everyone’s mental state and is one of the reasons that internships and careers within the company are extremely competitive. Experience and education are the two main driving points for becoming employed with Morgan Stanley, so anyone who is interested in working in finance needs to focus on these two areas before stepping in line for a position.